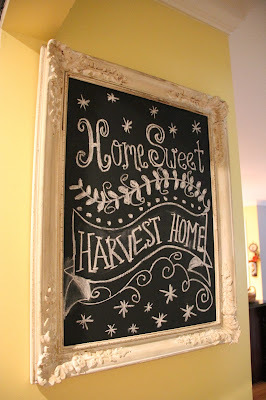 Love, love, love chalkboards ! 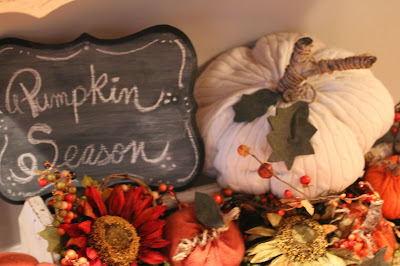 I have loved using chalkboards in our Fall and Halloween decorating this year ! This thrifted frame hangs on the wall into our kitchen from the family room.. I am going to change it out for the seasons. This rectangle silver tray , from Good Will , got chalkboard paint in the center and is now sitting in a silver bucket with some branches from the yard. 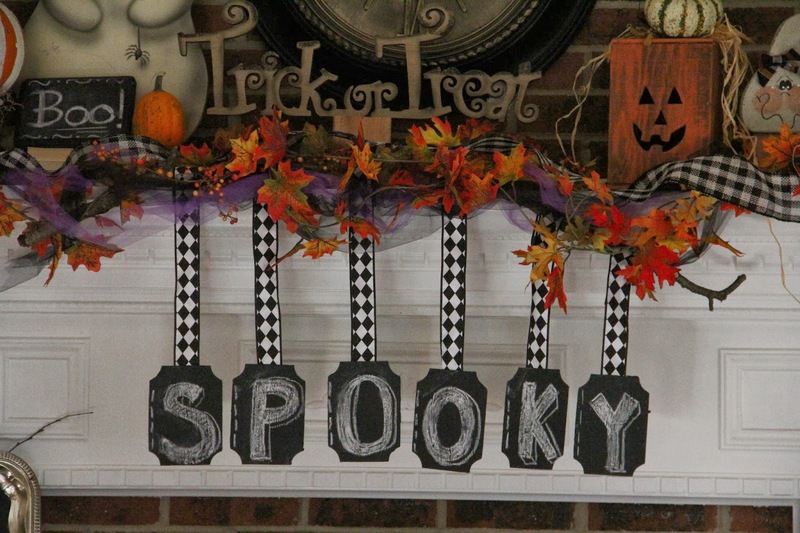 I got these two little wood pieces at Michaels , gave them a coat of chalkboard paint , and here they are .. 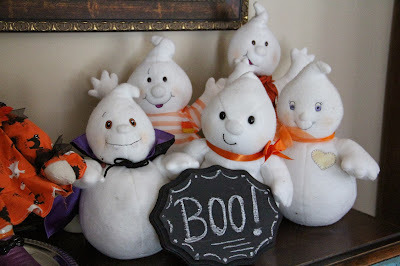 I think they will be used at Christmas time too. 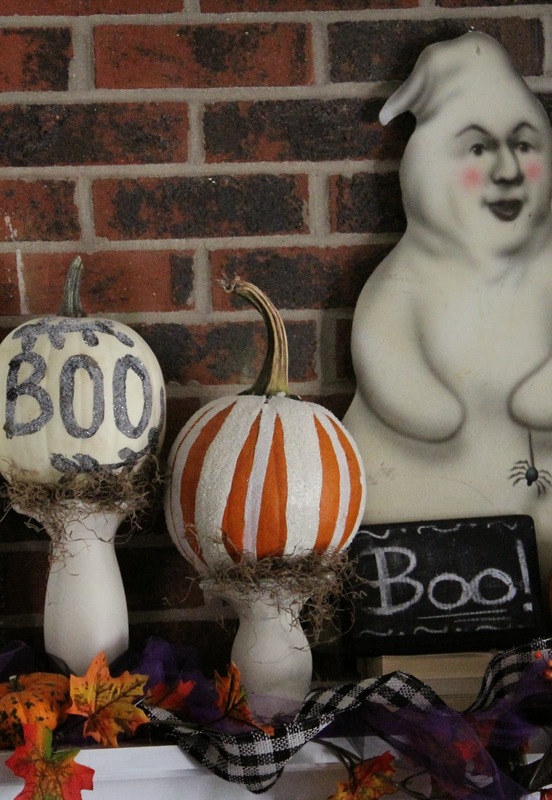 I even used chalkboard paint on a real pumpkin , wrote the word BOO , and added crystal glitter to it ! 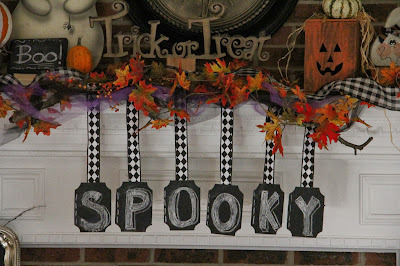 For our mantel I used these wood pieces ( from Joann Fabrics) painted them with chalkboard paint and used ribbon and a big stick from the yard to make this spooky banner. Love the off white painted cabinet so much better ! 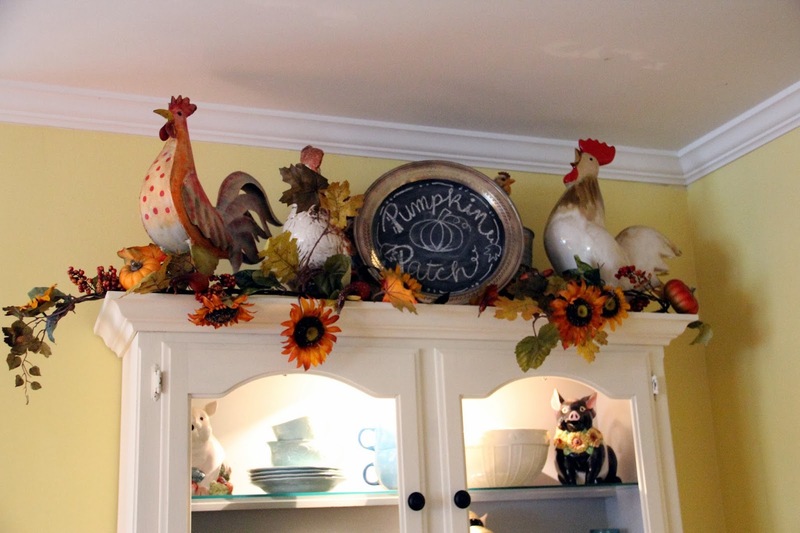 My Halloween kitchen and hutch makeover can be seen here.. 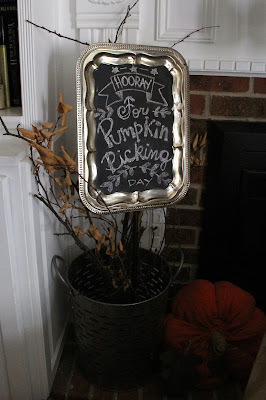 I used this small silver tray , chalk painted in the center for my Picket Fence Halloween Countdown sign . In the foyer I have a large vintage white chippy toolbox , that's filled with gourds, florals and sweater pumpkins.. This board came from Michaels and got a coat of chalkboard paint.. Here is another silver tray on our kitchen counter.. 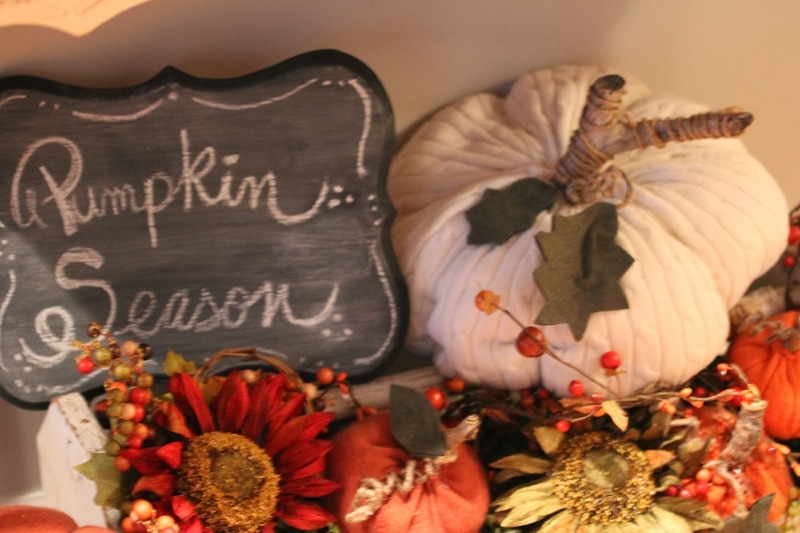 I used chalk paint and just wrote the word Fall..simple but so cute ! 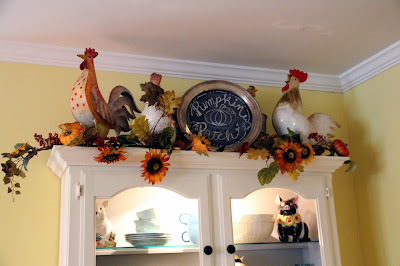 You can see more of our Fall kitchen here.. Thanks as always for your nice comments and visits ! I appreciate all of them :) Have a great week! Oh my! 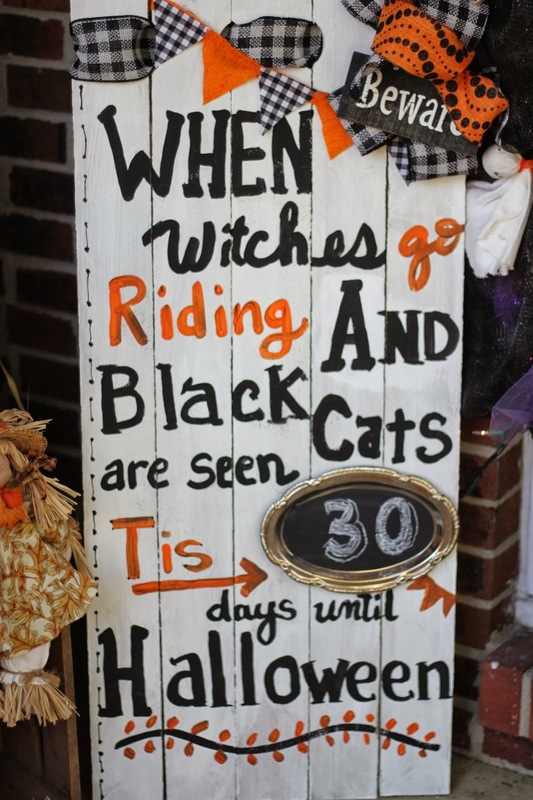 I just love all of your chalkboards for Halloween. Especially that first one. Just lovely! Coming over from Between Naps on the Porch and a happy new follower! 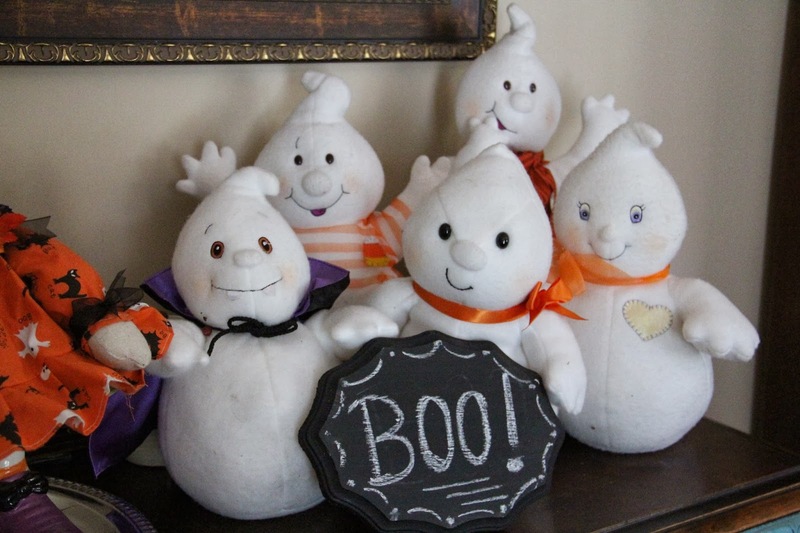 Fun decor!!!! Love your hutch...love it!! I am your newest follower and I love your posts. The chalkboards are terrific. I painted one of my pantry doors with chalkboard paint and I really like it. You have given me some more ideas - thanks so much. Stop by and see my posts. I really like your chalkboard art designs. They add a nice touch to your fall decorating. 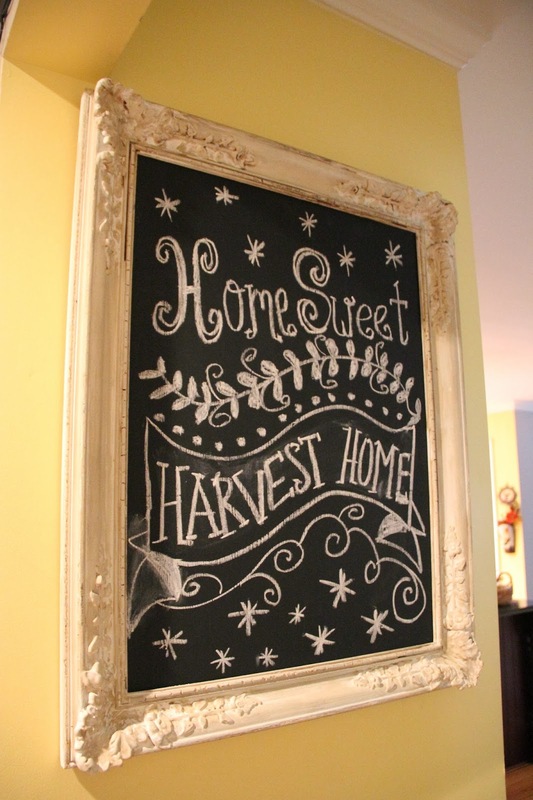 Love your fun and funky decor with all the chalkboards. So festive. I love all your chalk boards! I love all the chalk boards what a great idea! 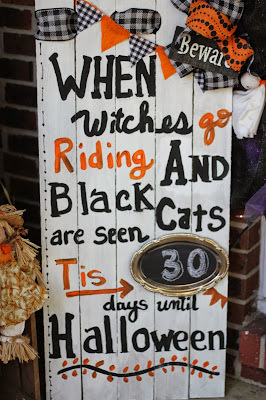 I'm crazy for chalkboards, too! 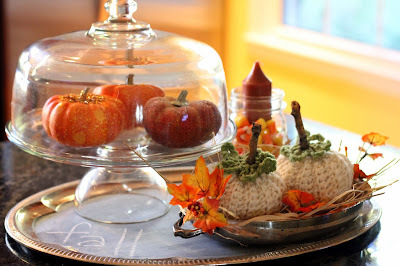 I really like the ones you've created from silver trays -- so clever! Hi and wow, I love all you decorations! They look so pretty. I saw it on share you cup. Priscilla, I love chalkboards also. I have them scattered here and there in my home. Your artwork on the first one is fab my friend! Thanks for sharing them with SYC. 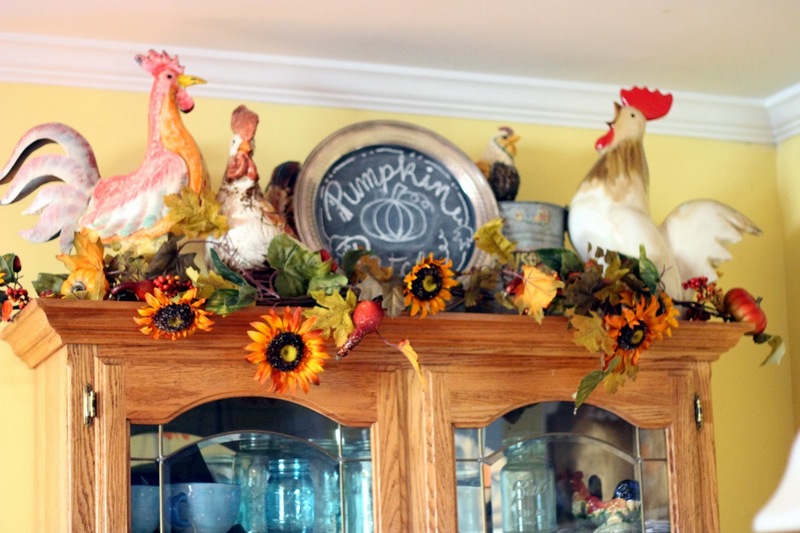 You are beautifully decked out for fall! You are on a roll my friend. One of the most viewed links again this week. I love all the chalkboards! Especially the silver tray one which I pinned. Great idea!